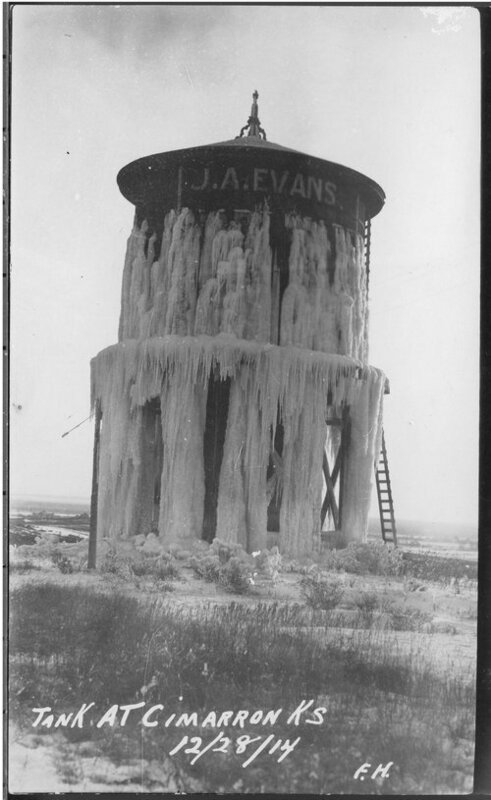 This photograph shows ice on a tank in Cimarron, Kansas. The tank is labelled J. A. Evans. The tank might have had a leak in cold weather.